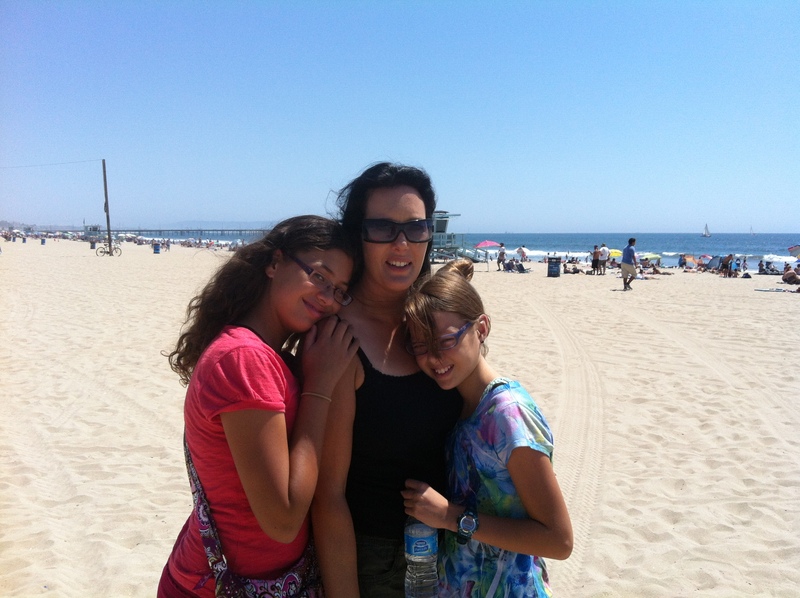 Denise and the girls are travelling to Lake Tahoe tomorrow, so we decided to take a family afternoon out at the beach. We had not yet been to the famous Venice Beach, which is only a forty-five minute drive from our house, so after church, we headed there. 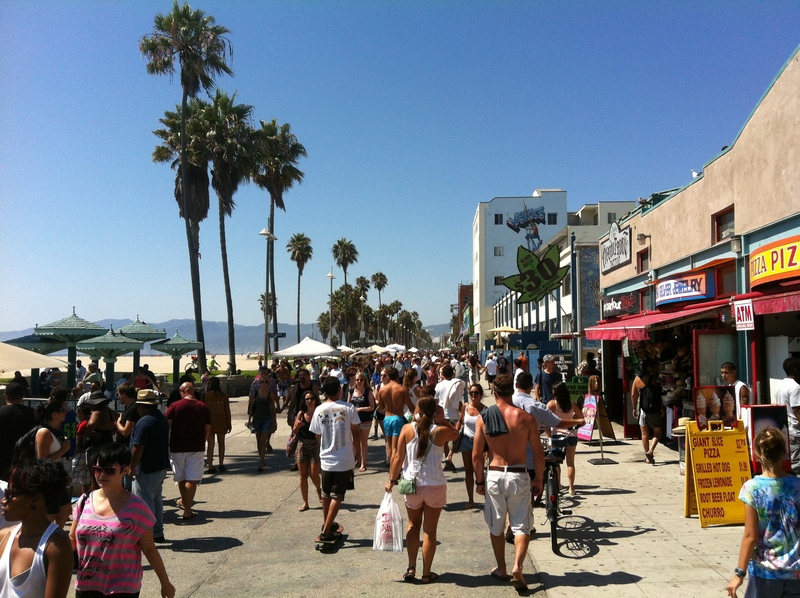 Venice Beach is famous for many reasons. 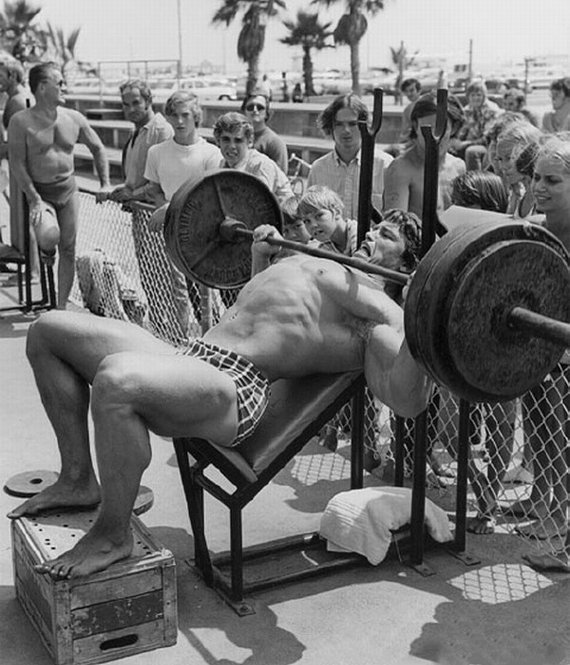 One such reason is the bodybuilding era of the early 1970’s where people such as Arnold Schwarzenegger and many other famous bodybuilders used to regularly work out at the area known as ‘Muscle Beach Venice’. We arrived at Venice beach but once we saw the twenty-five dollar charge to park near the beach, we decided a walk would be nice, so we drove a few miles away from the beach until we found a free park on the side of the road. This took some time as Venice beach is obviously a popular place to spend Sunday afternoon as there were cars and people everywhere. Almost every possible parking space was taken and many more were trying to find a space to park. After grabbing some lunch at the beach and taking in some outdoor basketball, we walked a few miles up and down the Ocean Front Walk, which was interesting. The atmosphere was definitely carnival-like and packed with a broad variety of stores, street performers, artists and musicians. 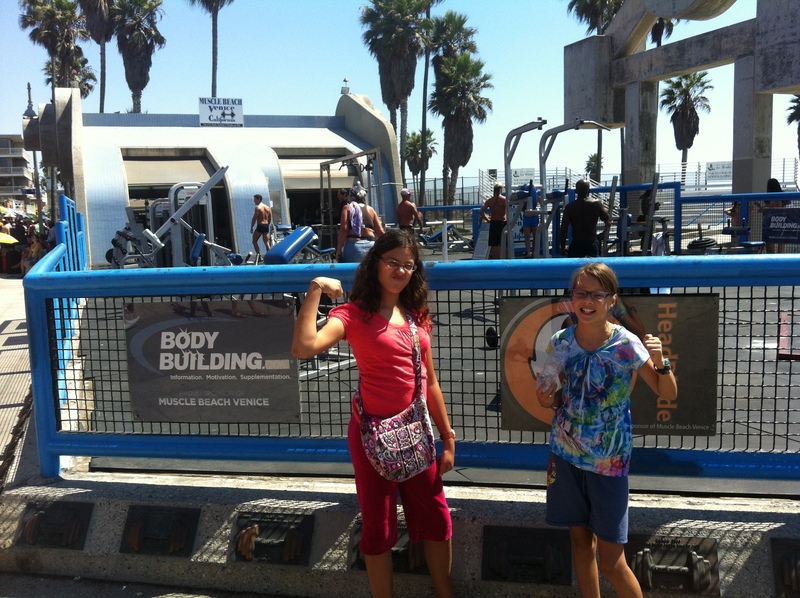 While the experience was interesting, there were some elements along the promenade that made my girls a little uncomfortable. One such element was the existence of several ‘clinics’ where you could legally buy marijuana for medicinal purposes. From what I could understand, you would visit one of the clinics, pay a fee to get a consultation with one of the Venice Beach marijuana doctors in order to get approval to buy some marijuana as treatment for whatever ailment or chronic condition you might have. Like I said, some of what we saw was interesting. After taking in the sights along the Ocean Front Walk, we spent some time on the beach before heading home.